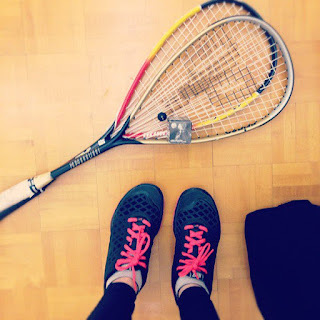 So, after a rather lengthy hiatus, I have decided to return to my blog because I've embarked on a new endeavor: weight loss. I realize this will not be a popular post -- I can hear the disdainful comments now: You're crazy! Listen guys, I know I'm not a big girl. But last week I went to see my new doctor for the first time and during my physical I learned that I had gained 5 lbs in the past half year, which on my frame is a pretty significant amount of weight! I told my doctor my surprise and asked if maybe I have a thyroid problem. She laughed at me. In all seriousness, I'm not that worried, but it's not like I'm growing any TALLER, so why should I be growing any WIDER? At 29, I think it's high time I start eating more sensibly. And that's the thing: I have a voracious appetite. Many of you readers who have shared a meal with me can testify to this. I have been known to slam a burger, fries, and coke in 15 mins flat, and there's an infamous college story about me in which I went to a sandwich shop with friends and ate a HUGE sandwich, but then went up and got an additional chili dog to, oh I don't know, wash it down with??? I've honestly been dreading the day when my blessed metablism would slow down. And I'll probably long for my college days for the rest of my life, but there is also a joy that comes with moderation and discipline. Call me crazy, but for now I'm sort of enjoying packing my food and keeping under my caloric limit; being more intentional about exercising; and weighing myself to see if the discipline is paying off. Before I get emails from worried friends, I promise you that I have a strong local support system (Chris, cousins) and they would never let me go off the deep end with this. This is just a healthy endeavor to build in some disciplines that were necessary in the first place. 1. The Lose It! app: great little calorie counting tool that also let's you add in exercise, charts your weight, scan food by the barcode, etc. Screen shot of my meals so far today. 2. 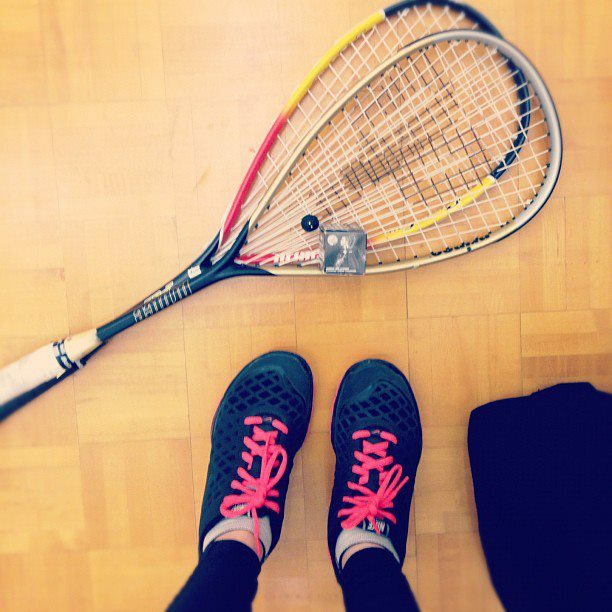 Squash: my favorite sport and allows me to burn 327 calories in 30 mins! 3. YOU! Seriously guys, I need your help because this is sort of tough for me. Got any tips on what are good low-calorie but filling foods? Any healthy meal ideas? Any good resources out there I'm not aware of? I'm not interested in fad diets or anything like that. I'm more interested in creating healthy habits that will turn into a lifestyle. miss jeannie.. i do recall getting the same reaction from you when i came back from the doctor a month ago and finding out i gained 6 pounds (but finding out it was the doc's scale that was off). did you confirm with your scale at home? haha. i am definitely on board with this plan -- not necessarily to lose weight but to start getting healthy and in shape! we should go running sometime! :) and tennis, hiking, and all that other fun stuff! i did confirm with my scale and it was accurate! aiyaiyai. JC, I fully support your new wellness pilgrimage!! IMHO... You've already taken the most important steps of acknowledgment and goal-setting. I love your holistic lifestyle approach: healthy eating, exercise and fun. The same things I aspire to. One needs all three to maintain interest. Filling foods? Anything with fiber. Some of my fav sites are eatingwell.com, cleaneatingmag.com and http://topics.nytimes.com/top/news/health/series/recipes_for_health/index.html (and of course, read Michael Pollan's "In Defense of Food" if you haven't already). thanks sheldon! these are great resources. grazie!